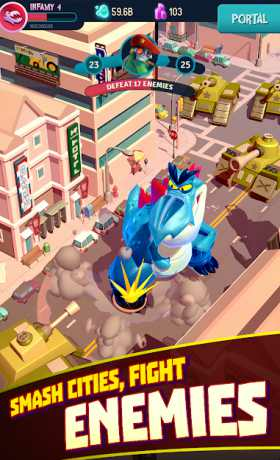 Become a powerful monster a dominate a cityscape in I AM MONSTER. You’re a giant monster stranded in a strange city. Your only objective? DESTROY as much stuff as possible! Wreak havoc and rampage your way through a colorful world. It’s simple. The more you smash the more you grow! Evolve your monsters to gain new abilities, expand to gigantic sizes, and become the most powerful monster EVER SEEN! 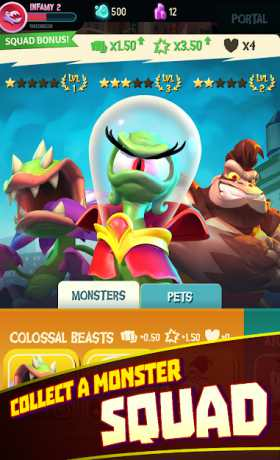 • Build the ultimate monster squad! • Evolved monsters are larger, have new skills, and do more damage! • Reach new areas by smashing your way through obstructions – and buildings! • Leave a permanent path of destruction in your wake! • Romp and stomp around a beautiful vibrant world – for you to DESTROY! • High-quality 3D world for super-satisfying destruction! 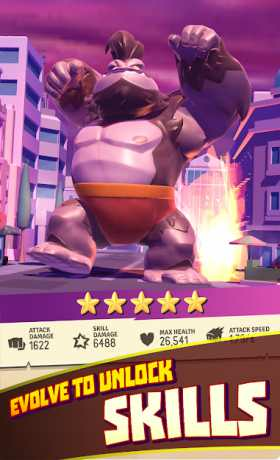 I Am Monster is free to play but offers some game items for purchase with real money.